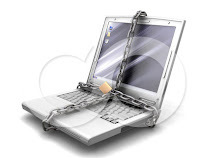 Generally we lock our computer to keep security when we are not around. Here is a simple new trick to lock your computer by simple mouse clicks, so you will not need to press the key pair. Just double click on the icon and your computer/Laptop will be Locked. We normally use Alt+Ctrl+Del orWindows+L to lock our PCs.Instead of trying those windows keyboard shortcut keys to lock Pc, lets now tryout something new. 1. Just Right click on the desktop, point to New and click Shortcut. “rundll32 user32.dll,LockWorkStation” remove quotes while typing. 4. 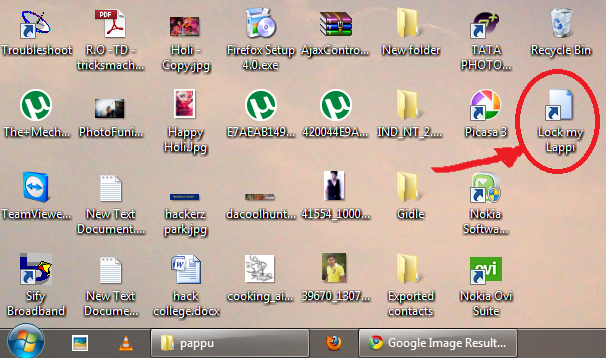 In “Type a name for this shortcut”, type LOCK MY LAPPI and Click Finish. 5. Now just double click on the icon, your desktop will be locked. Though this is a age old trick.It makes some difference to newbies.